STONES: 1 tcw I1, GH color diamonds. Other types and sizes of stones could be used as well though. METAL OPTIONS: Sterling or Argentium Silver, Rose Gold, Yellow Gold, White Gold, Palladium, & PlatinumThe starting price is for a Diamond Dangle Earrings in 14K with I1 diamonds. Please contact us for alternative pricing. 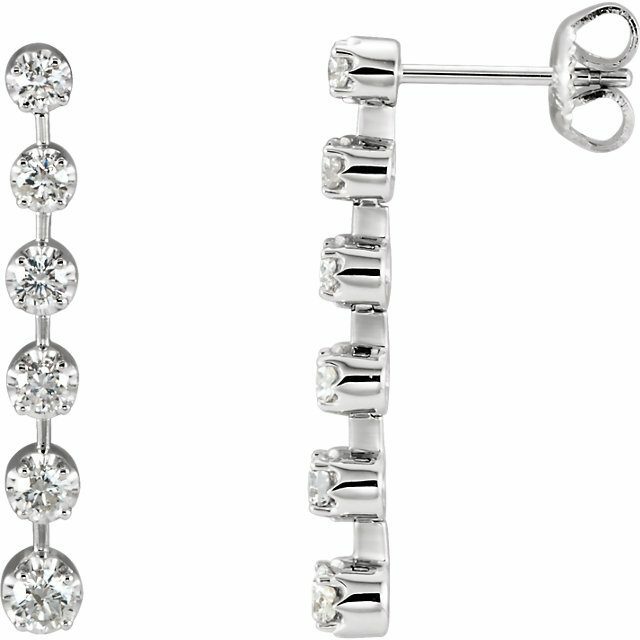 Click HERE for another style Diamond Journey Earrings. Click HERE to learn more about custom jewelry, to see our portfolio, or to contact us about Diamond Journey Earrings. It can cost less than you think to have your very own pair of custom diamond earrings made just for you. Why hassle with the retail stores for boring and overpriced Diamond earrings?